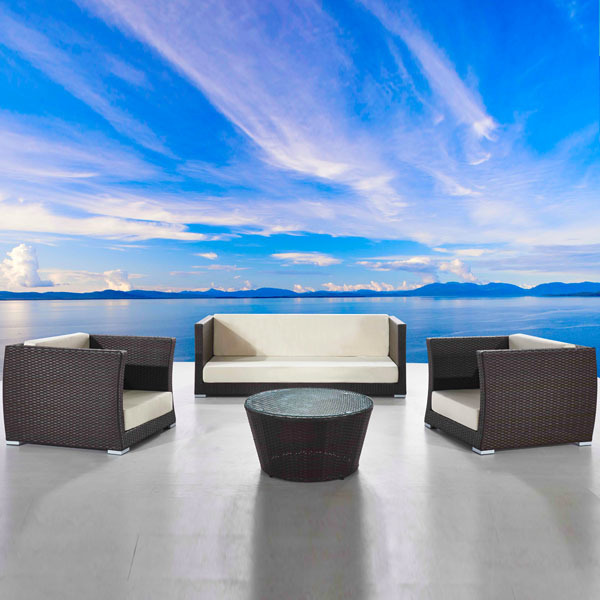 San Michelle is a classic collection serving comfortable, sumptuous style in any setting, from palatial terraces to intimate verandas. 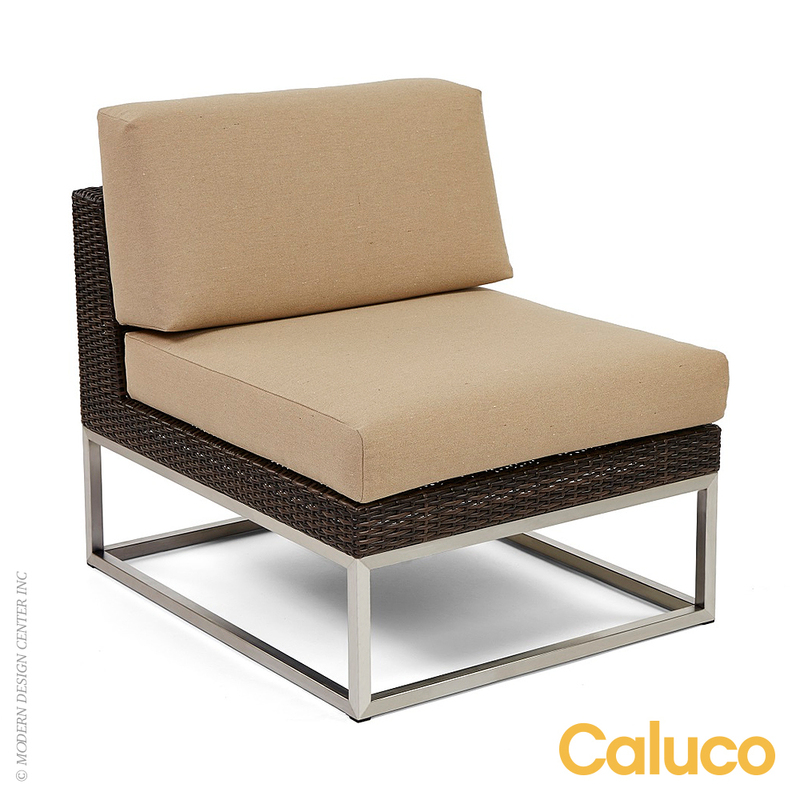 The highly detailed extruded-aluminum bases and frames are in a rich, multilayered Slate finish. 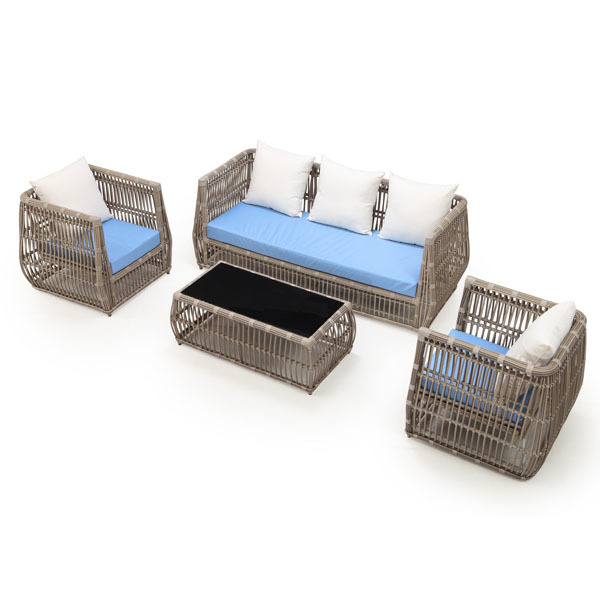 The extensive dining sets can be matched by deep seating solutions, easy to configurate to decorate any space situation. 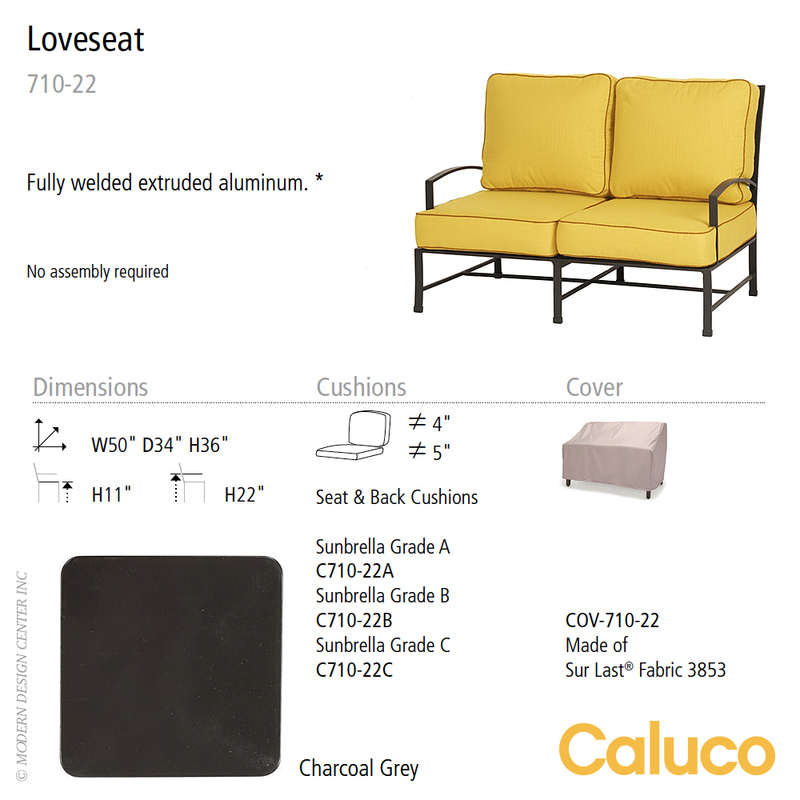 San Michelle Loveseat is made of fully welded extruded aluminum frame with anti-UV powder coating. 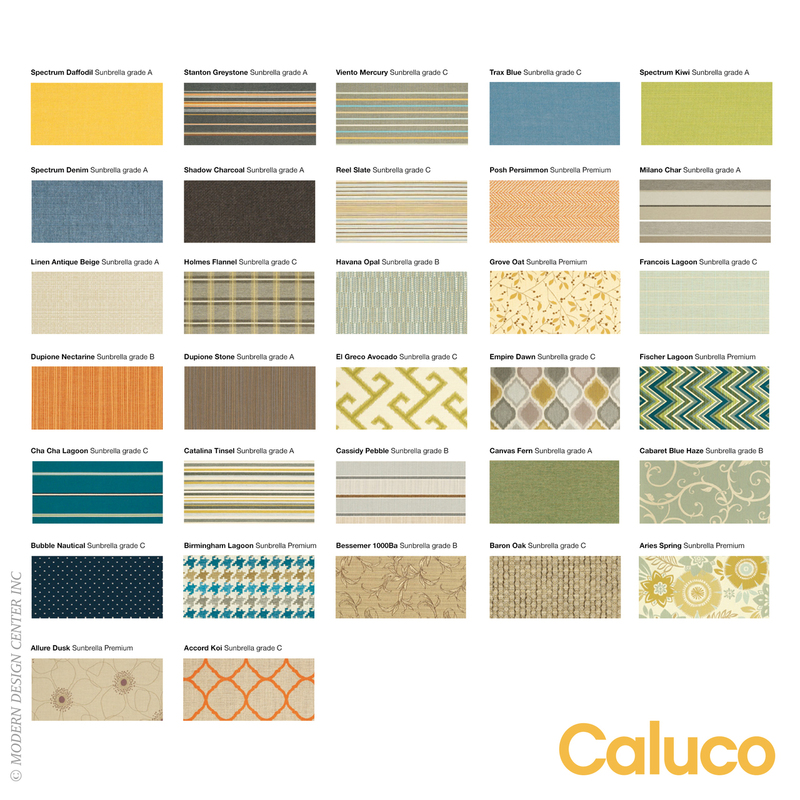 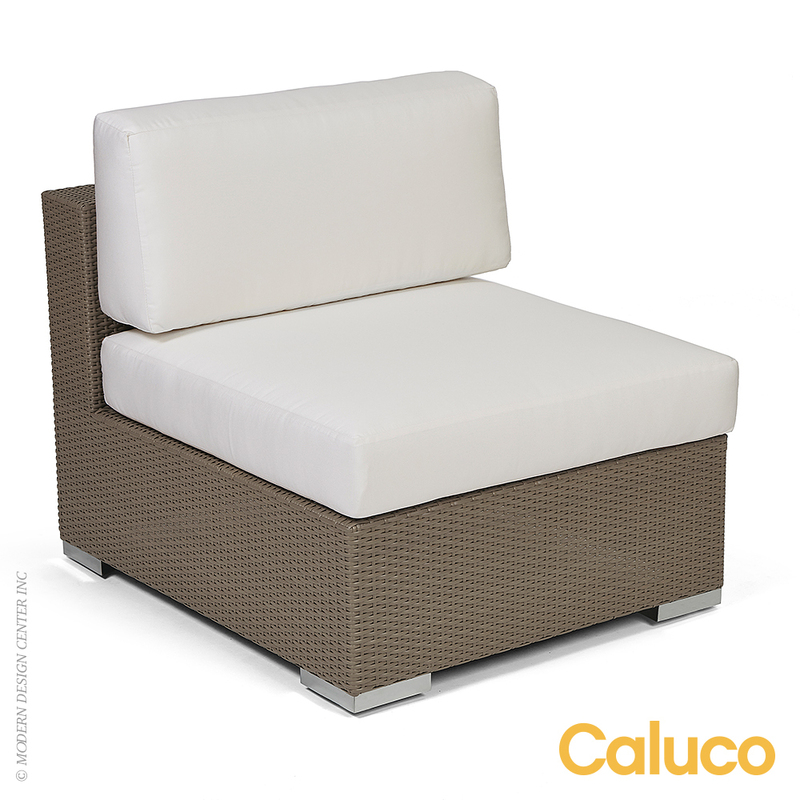 Caluco products are remarkable for quality and durability. 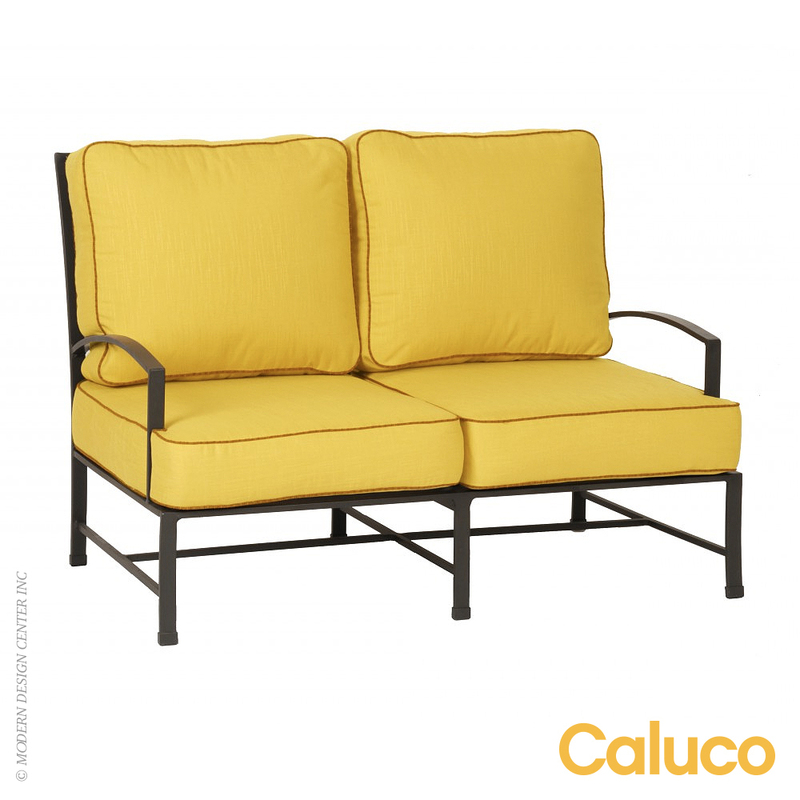 They have collaborated with highly respected designers to bring to life their vision, creating outstanding furniture solutions for hospitality, corporate, retail and convivial places. 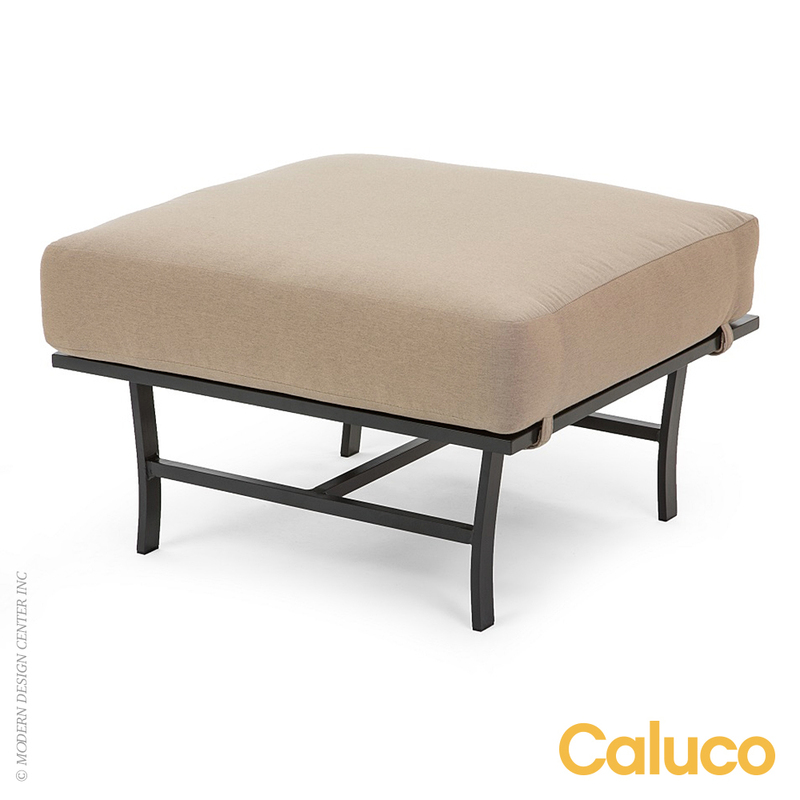 All Caluco cushions and pillows are hand made in the U.S.A. in our Southern California facility. 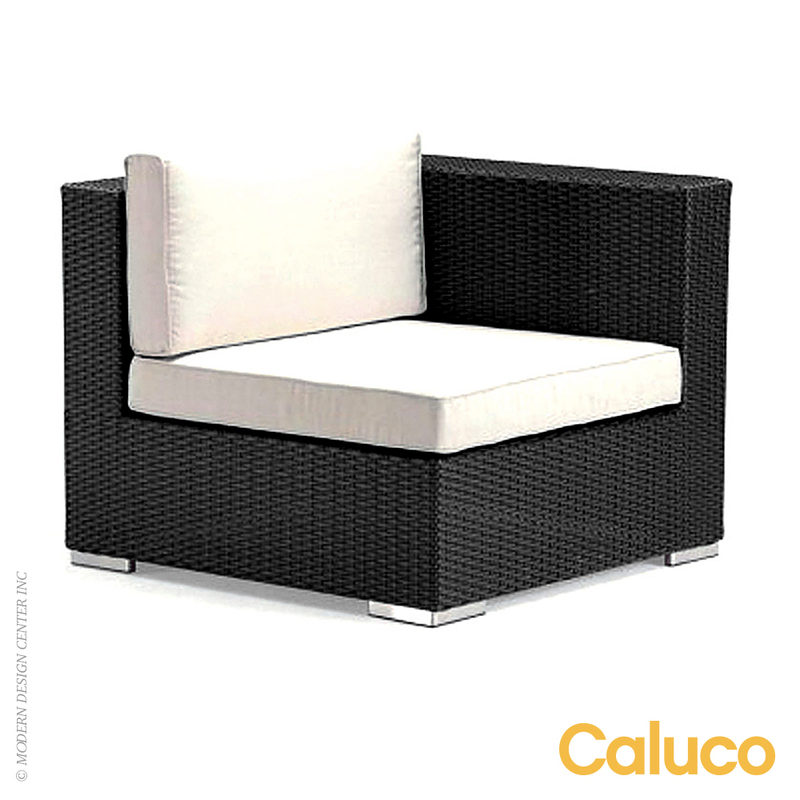 This item is final sale and not eligible for return.